Every day the hens line up and each waits her turn to lay an egg in the nest boxes of the hen house. Some hens are co-layers and will sit two in a box together. Birds often like to use the same nest others use, so there will be five or six eggs in one nest and nothing in another. Nature makes the hen secretive about her egg-laying. She will switch between nests over time, satisfying an innate need to hide her eggs. That is why there are five boxes, to provide plenty of choice. 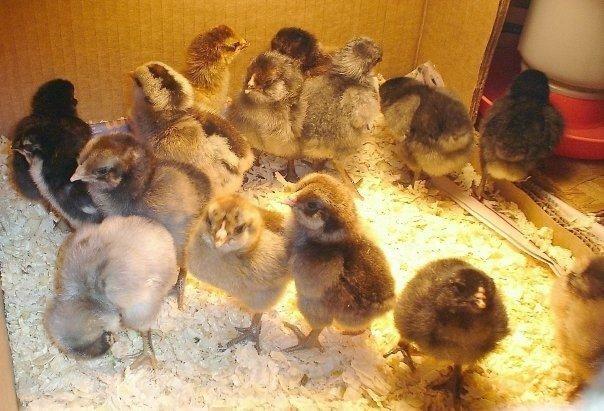 Ameraucana hens start laying when they are between five and seven months old. At Phoenix Farm the hens are hatched in the spring, and they start laying some time in October to December. The eggs begin tiny, size extra small and also are at their very darkest blue color. 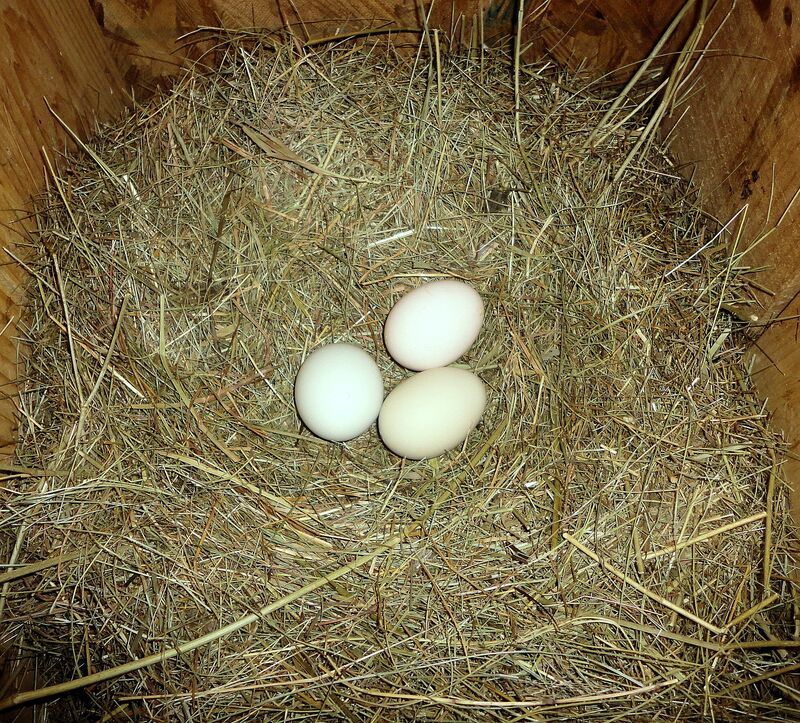 As the hens grow, the eggs become larger and the longer they lay, the lighter the shell color becomes. A laying hen ovulates almost every day and forms an egg in the special ducts inside her body. The shell of the egg is still slightly pliable as it passes from the hen. The egg quickly dries and the shell gets hard. 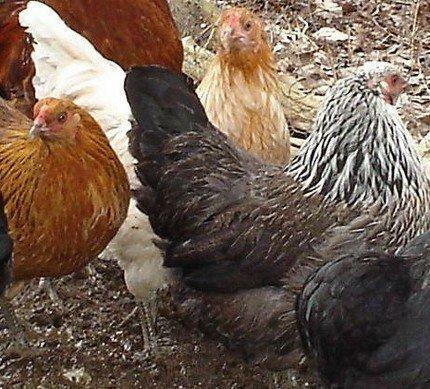 Hens lay nearly daily until their first autumn. When the length of day shortens, the birds go into their first molt, or shedding of many of their feathers. No eggs are laid during this time. Then, after two to four months of rest laying recommences as long as the hens receive at least twelve hours of light each day. In winter in Maine we have to provide supplemental light for two hours every morning. A hen ready to lay an egg is a determined animal. She will not be kept from her nest. Chickens are creatures of habit, once they are accustomed to laying in a certain area, they always return unless they are violently frightened. 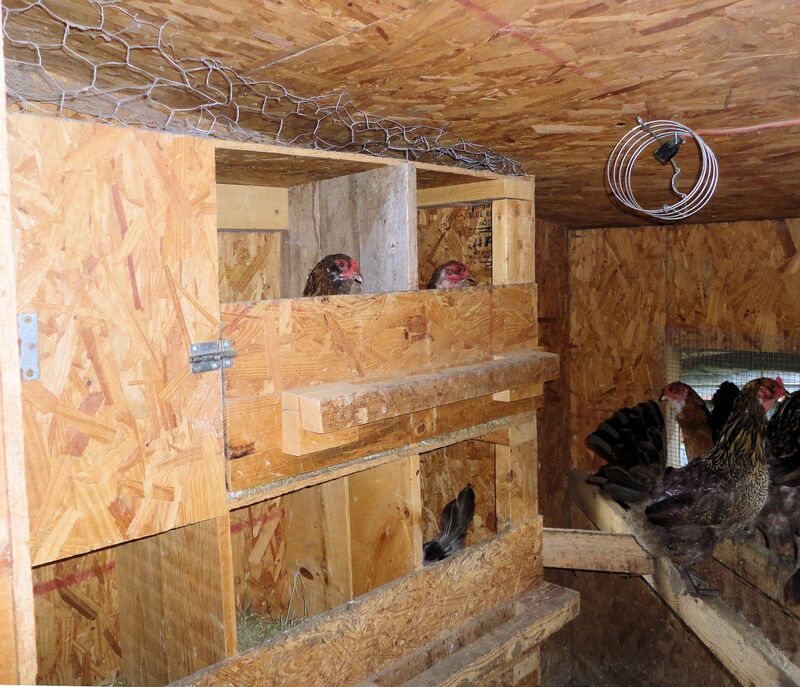 We chicken growers take advantage of the birds’ instincts by training them to lay in the nest boxes of the hen house. Otherwise, free-range chickens would hide nests all over the place and we’d never get an egg. The chickens stay locked in the house and hen yard until mid-day because most hens are morning layers. 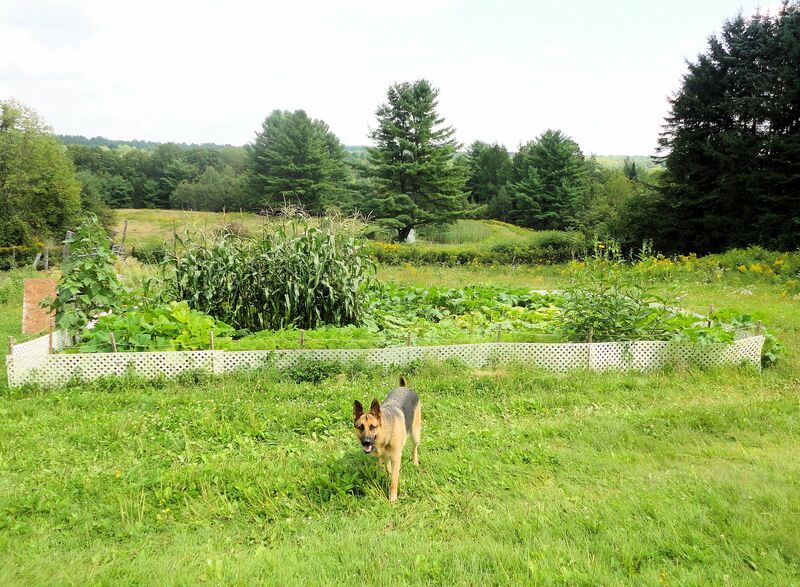 Then, in early afternoon they are allowed to run free to scratch for seeds and bugs and get the sunshine, green grass and exercise that makes them so healthy and their eggs so very tasty. You have not had an egg until you’ve tried a free-range egg from a truly free chicken. Our birds have the run of our entire 75 acres, although they tend to stay within a couple hundred yards of the hen house. This photo, courtesy of my daughter, shows the difference in yolk color between our free-range eggs on the left and regular store eggs on the right. In the evening chicken habit kicks in again. The birds always return to their roost unless some disaster has happened to scare them away (such as a midnight raccoon raid.) As the light dies, a parade of chickens returns to the house and each bird flies up to its own chosen spot on the roost. There must be great comfort in routine because these birds are calm and content. It is the chicken grower’s responsibility to keep the birds safe while confined with strong wire, solid houses and locks to repel the many predators of plump, tasty hens. The wire fenced yard is lined with logs along the bottom stopping any animal from digging under and covered with net to keep out the hawks and owls. The underside of the coop is reinforced with wire mesh to prevent any animal from chewing its way in. 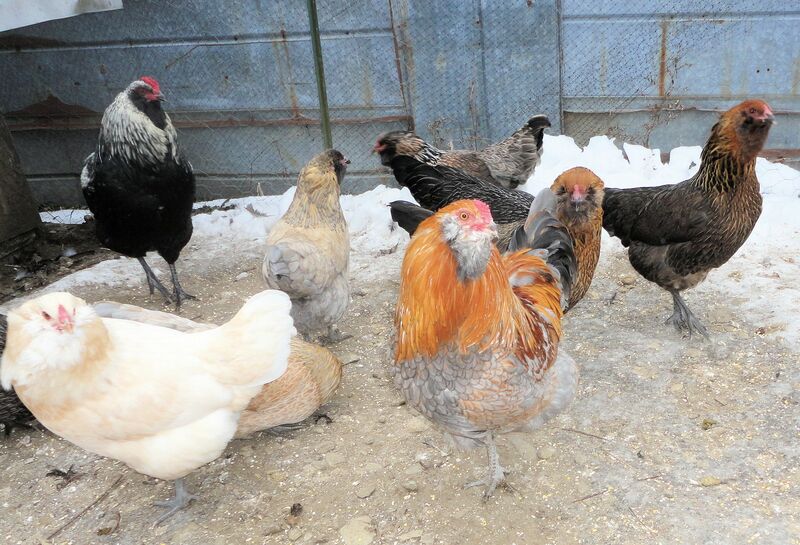 The chickens are most susceptible to predation while free-ranging. I’m sure if you could ask any chicken, you would hear they prefer to take their chances for the opportunity to roam free. 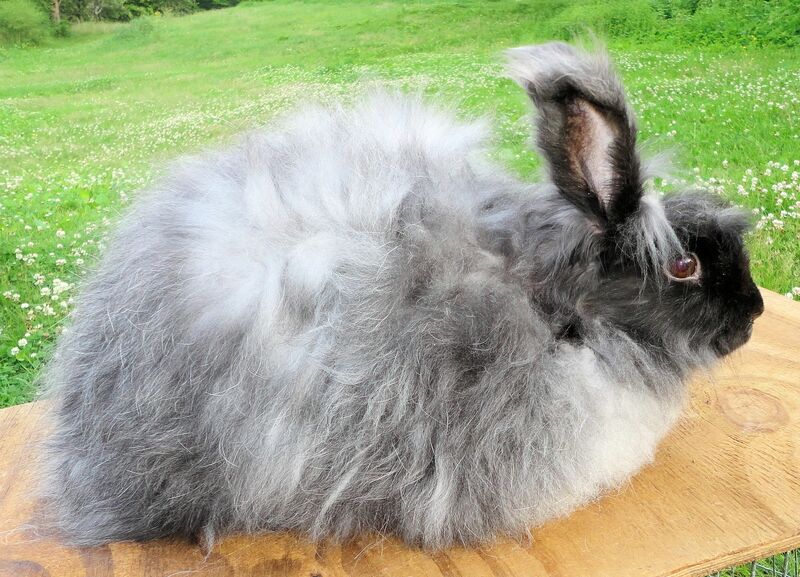 Angora rabbits live at Phoenix Farm. There are currently six in the herd, also called the rabbitry. There are two bucks: Jasper and Marble and four does: Mica, Gem, Alabaster and Citrine. 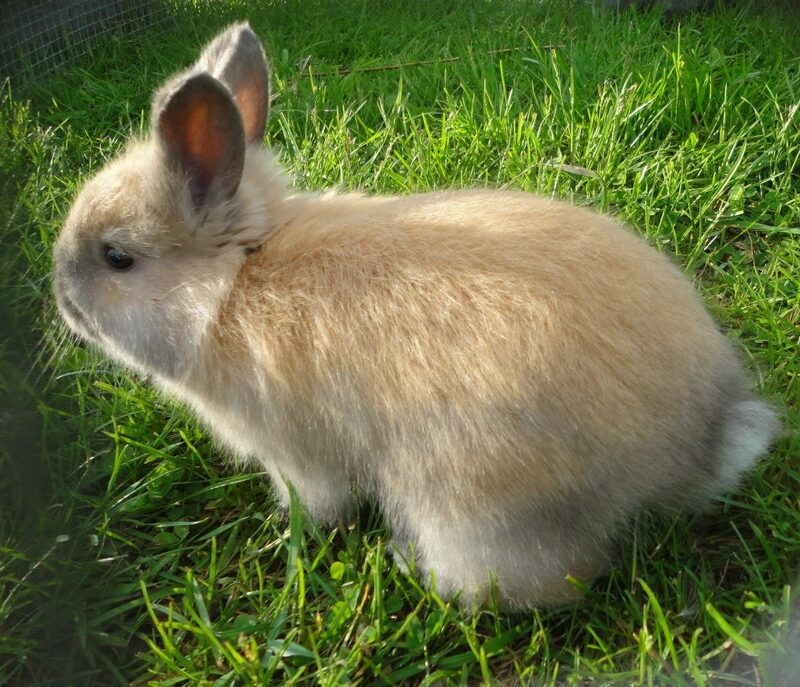 I name all my rabbits after rocks, minerals and gemstones, not sure why. Jasper, Marble and Alabaster are albino color, white with red eyes. Mica is sable, black with gray, Gem is fawn, an apricot reddish-brown, and Citrine is chocolate torte, fawn with brown and gray. 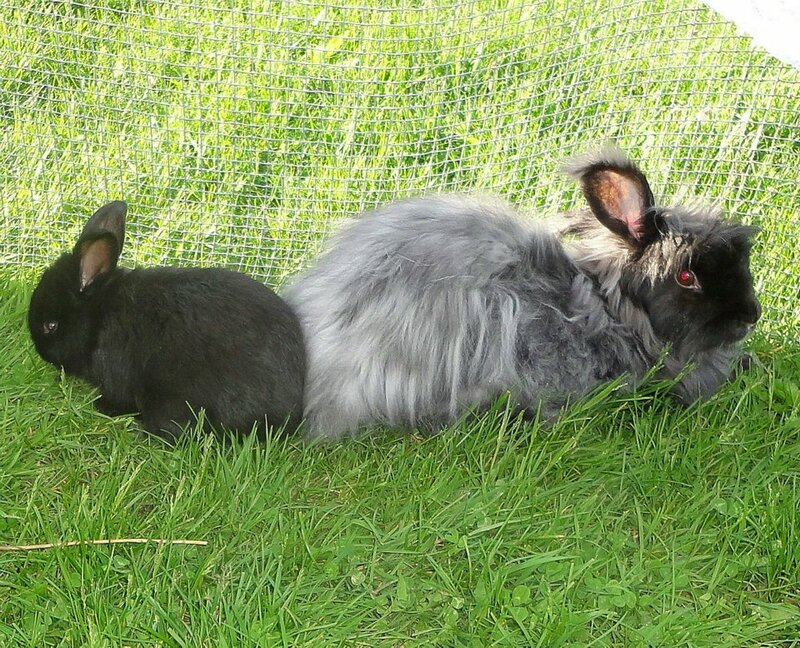 All the rabbits are cross-bred between French and English angora with a small amount of German mixed in. 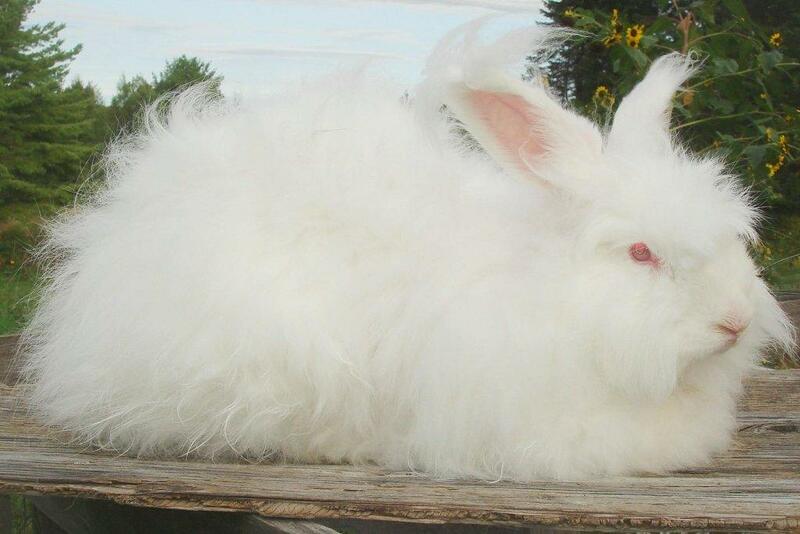 The bunnies combine the best traits of all these breeds of angora to produce long (French), thick (English), abundant (German) fiber that can reach seven inches long. The length is known as the staple. 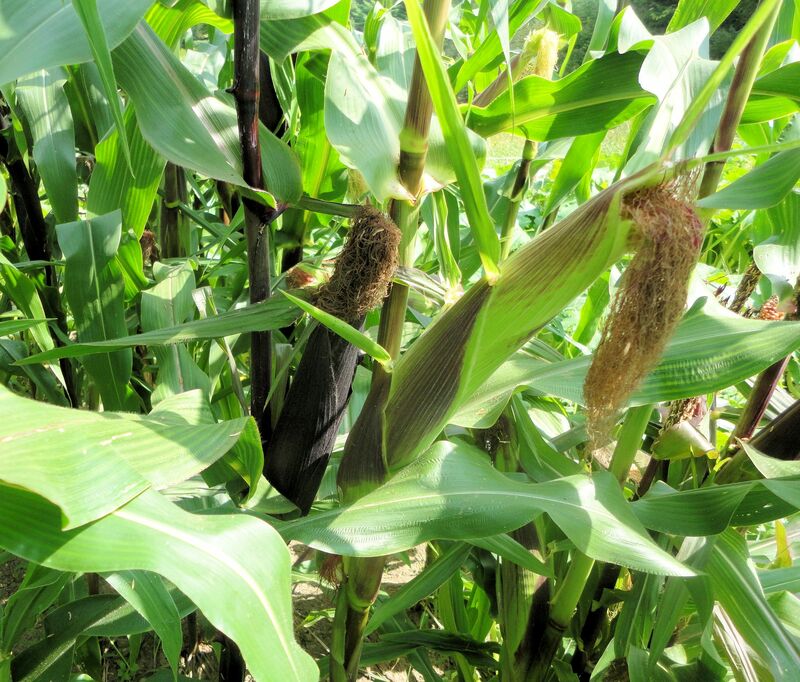 These animals that I have specially bred produce very long staple fiber. Sometimes in the spring I will mate one or more of the does and have some litters of babies kindled. That’s what rabbit breeders call giving birth. Little rabbits are fawns. They are born naked and blind, but quickly grow into the most adorable little creatures. The cuteness peaks at about one month old. Just little handfuls of fluff with curious noses and tiny little tails. Fawns nurse and stay with their mother until two months old, although they often start to eat hay and feed before their eyes are fully open (at 10 days.) This photo shows some babies on the nest who are about two weeks old. 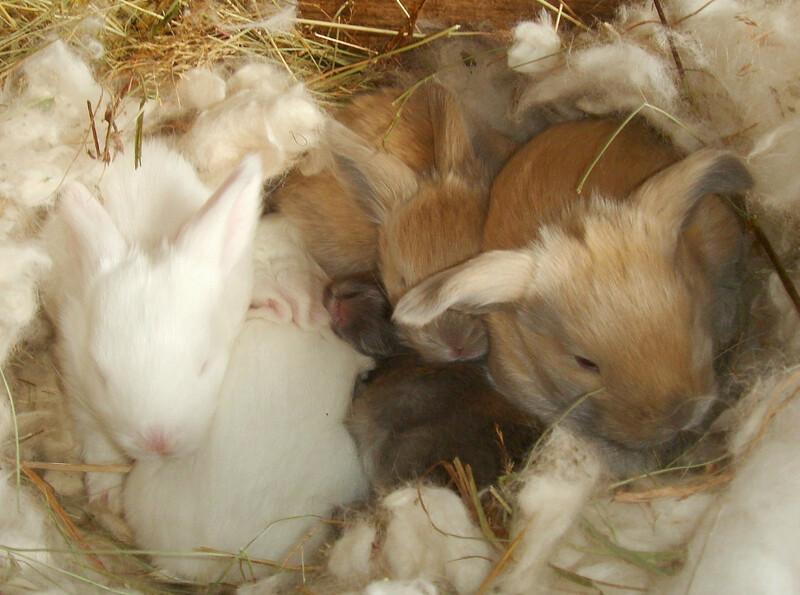 The mother rabbit pulls the fiber from her belly and sides to make a warm nest of angora for the babies. She nurses just once per day when the babies are tiny, then carefully covers her brood in a blanket of angora to keep them warm. By two weeks, the babies’ eyes are open and they begin to explore the cage and follow mama around to nurse more. Here are a couple shots of babies about one month old, the mother is Mica. The babies are ready to have their first fiber removed at about two months old. 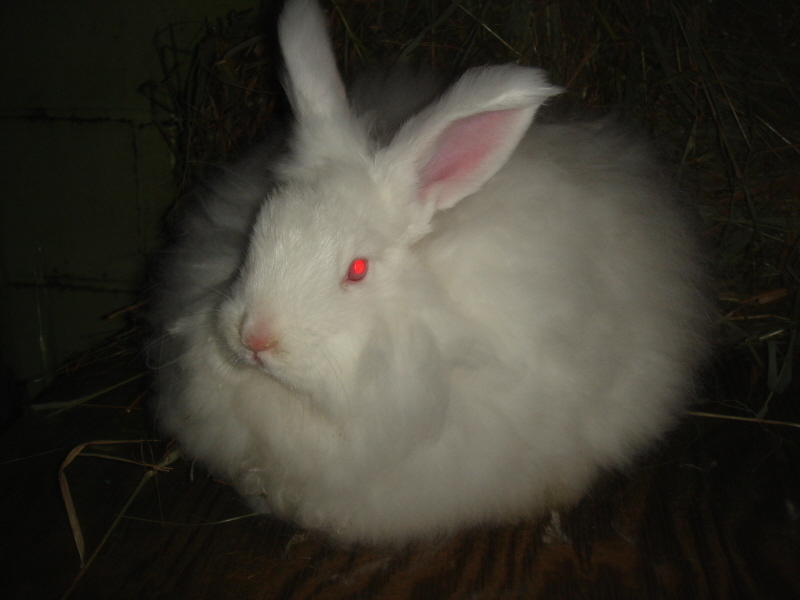 Then regularly, every two-three months, an angora rabbit must have its hair taken off or it will shed naturally and develop into a huge matt. I carefully pull out the fully-mature hair by hand. This is called plucking and does not hurt the rabbit. They actually lie very calmly and seem to enjoy having all the extra hair removed. Each shedding results in two to three ounces of fiber per rabbit. This fiber is spun to make yarn and then can be knit or crocheted or woven or felted into the warmest natural fiber items available. 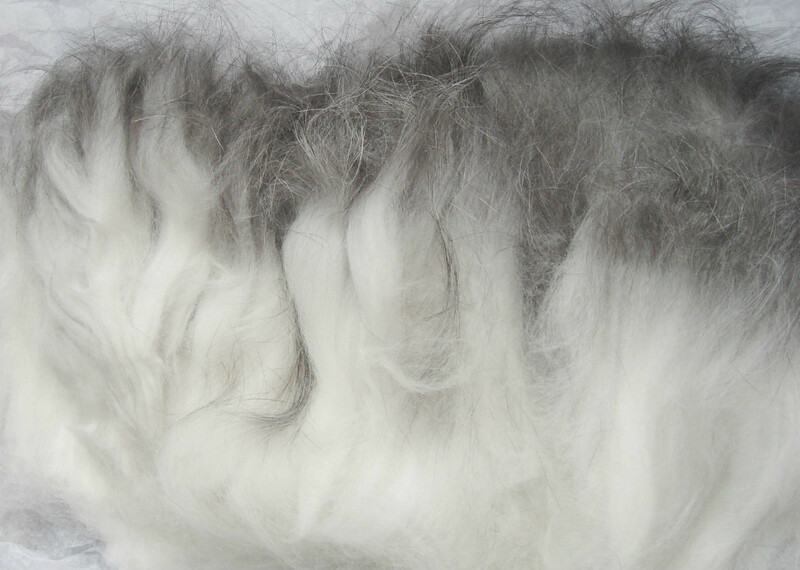 Angora is a luxury fiber and is usually combined with other materials such as silk, cotton or mohair to make it go farther and give it more strength. 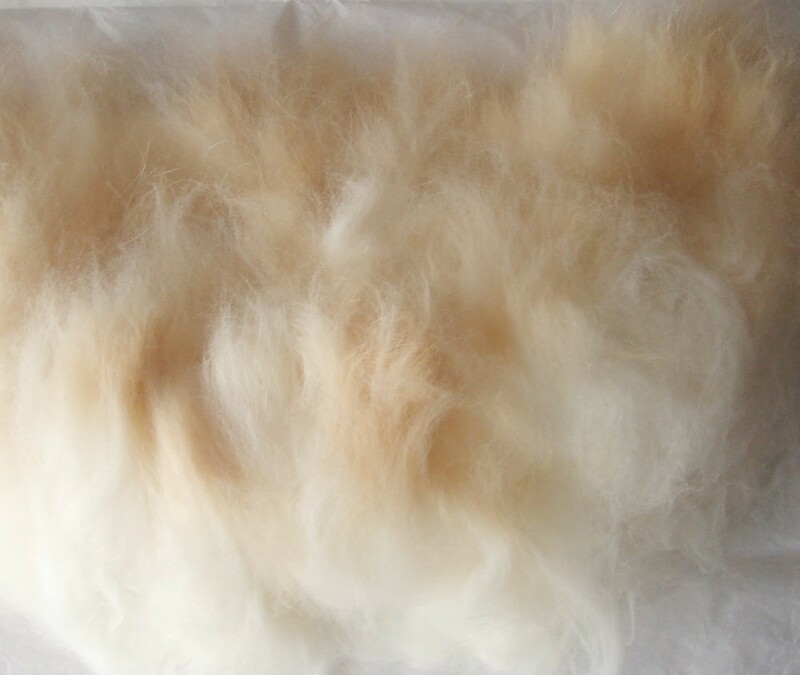 I love to spin straight angora and make wispy, incredibly soft and warm scarves for sale in my online Phoenix Farm Stores. I also sell the raw fiber. 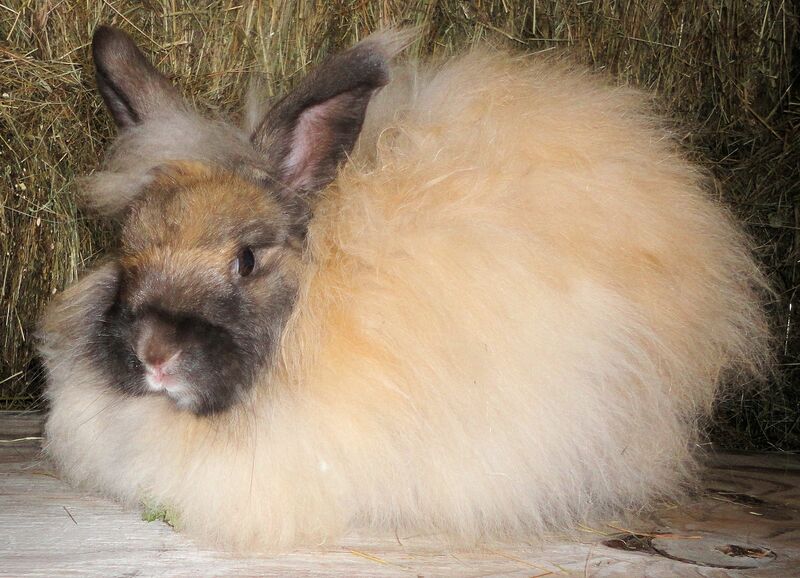 These bunnies pay for themselves because prime angora fiber commands a good price. 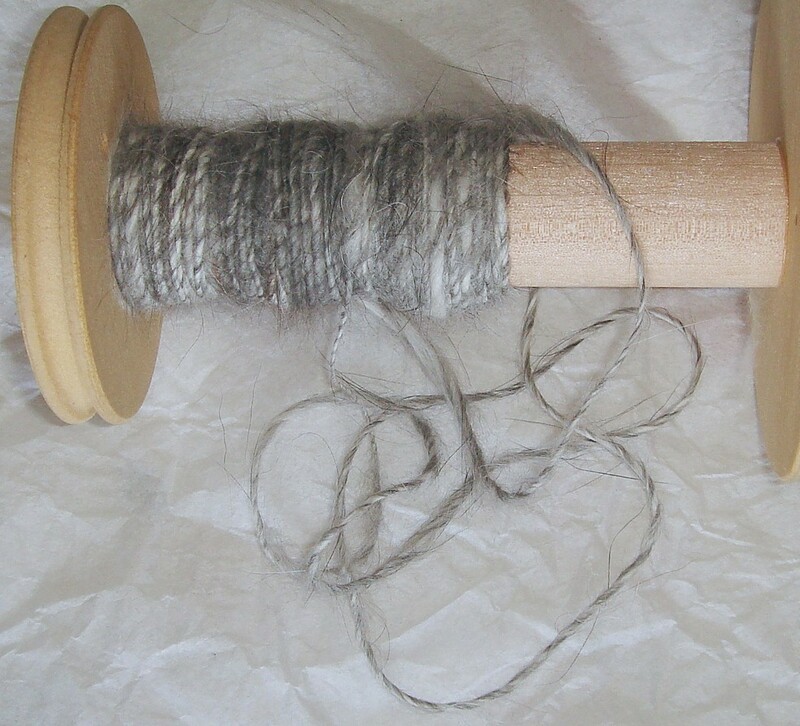 Below is shown a spool from my spinning wheel with some started yarn from a sable angora rabbit. The other photos are of the raw fiber that can be spun just as it is and requires no carding. I very much enjoy caring for the rabbits, playing with the babies, spinning the fiber and knitting beautiful items. Watching rabbits jump for joy on the lawn is a special reward. 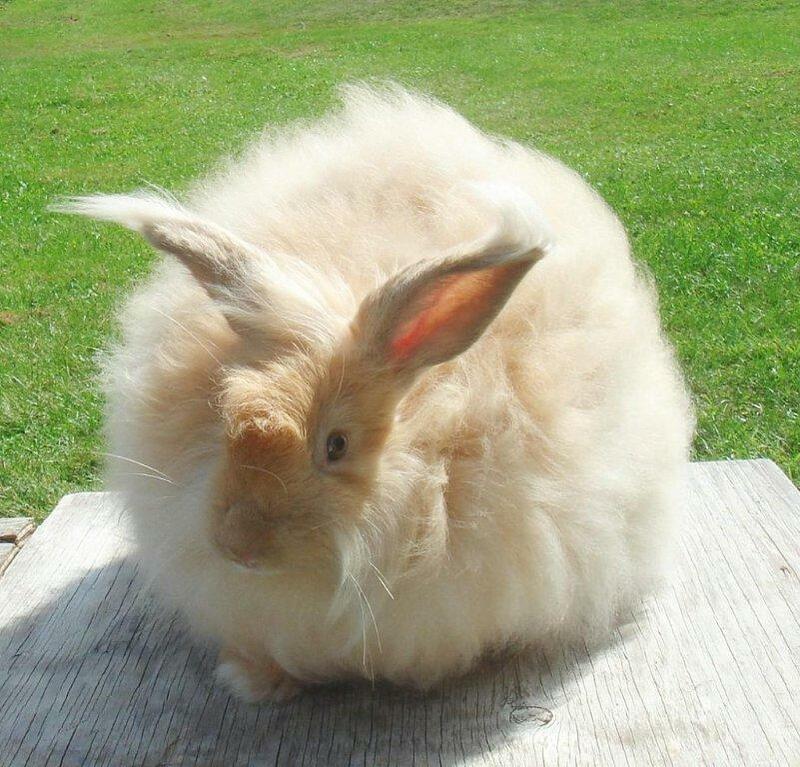 Angora rabbits are a large part of daily life here at Phoenix Farm. Once again, knocked down by a virus. This time it was the digital sort. Infected my computer and took two days to clear. Thanks to the intrepid Gunnar at F-Prot anti-virus in Iceland, I am back up and running right again. This is the second virus in about two months. Both times they have come from clicking on a photograph. Immediately a virus is allowed in and takes over. I’ve taken steps to minimize the probability of future occurrences, but these Russians, apparently, are very persistent. Both viruses had Cyrillic characters in their programs. There will always be plenty of people willing to put much time and effort into stealing from others rather than honest employment. 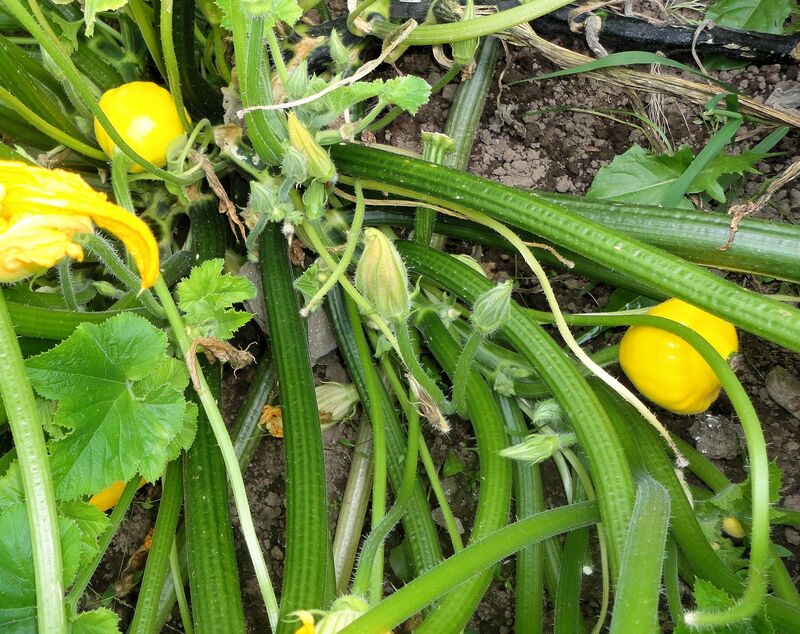 This entry was posted on August 24, 2013, in Musings, Uncategorized. Every year during the latter part of the summer, we are treated to the dance of the dragonflies. These tiny insect helicopters hatch out in our pond. They are a blue-body species, fairly large, about 3″ long. On a late afternoon or early evening, perhaps due to an emerging hatch of tiny flies, hundreds of dragonflies will gather in one area. Within fifty square feet of lawn, this circus of aerial acrobatics will continue for several hours, until the food is gone. 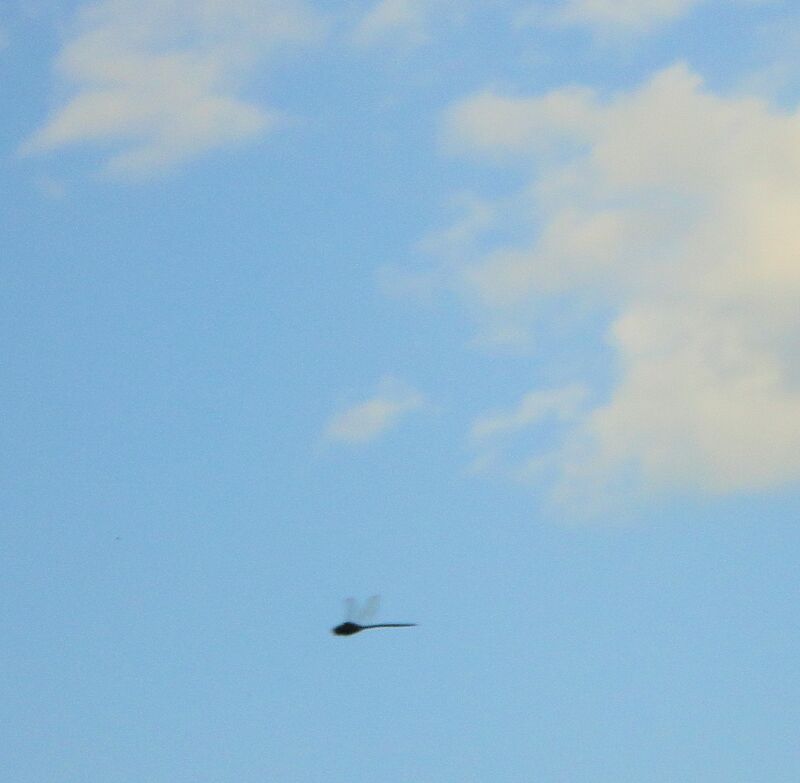 The dragonflies swoop and circle, dart and weave, zooming past one another with a rattle of paired wings. The tiny flies are snatched in midair and devoured. 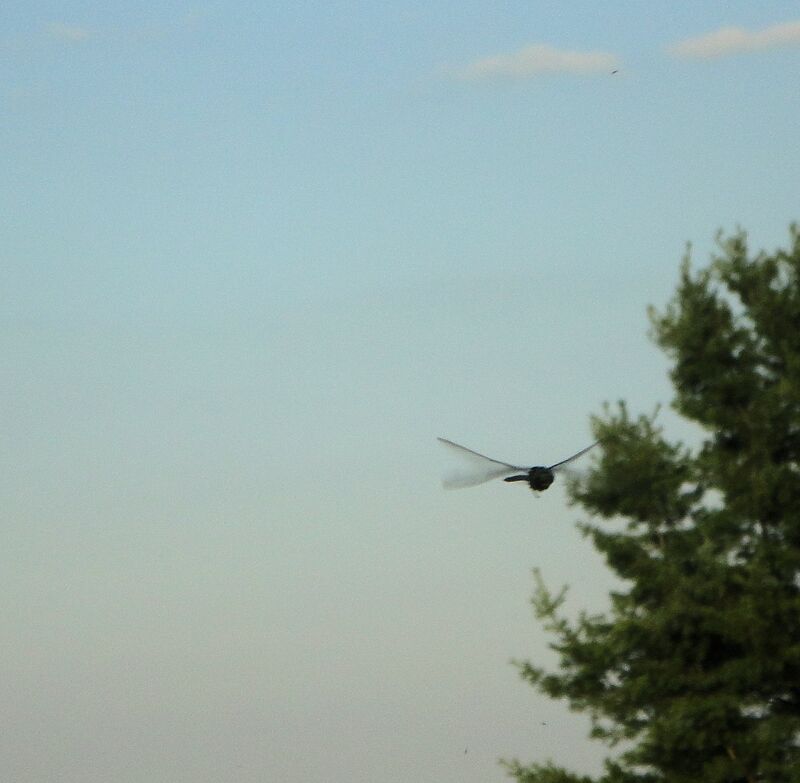 If you stand in their midst, with blackflies buzzing your head, very quickly the dragonflies will eliminate your pests. They skim right past your ears and zip over your skull with millimeters of clearance. 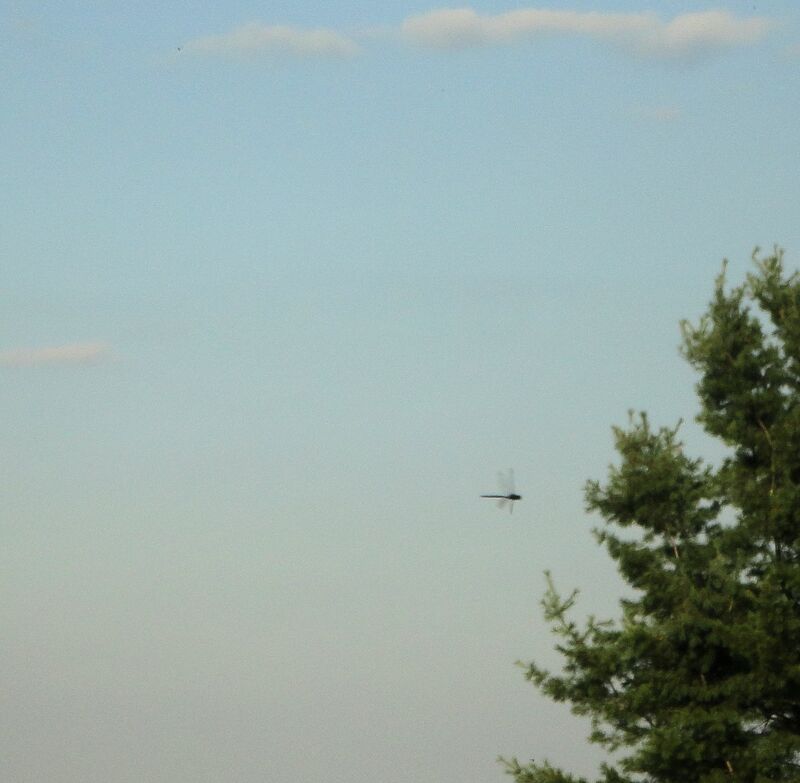 Photographing moving dragonflies is no mean feat. They are so maneuverable that they are in one place for only a moment. During the Dance of the Dragonflies I have never seen a single insect alight, so enticing is the feast of tiny flies. 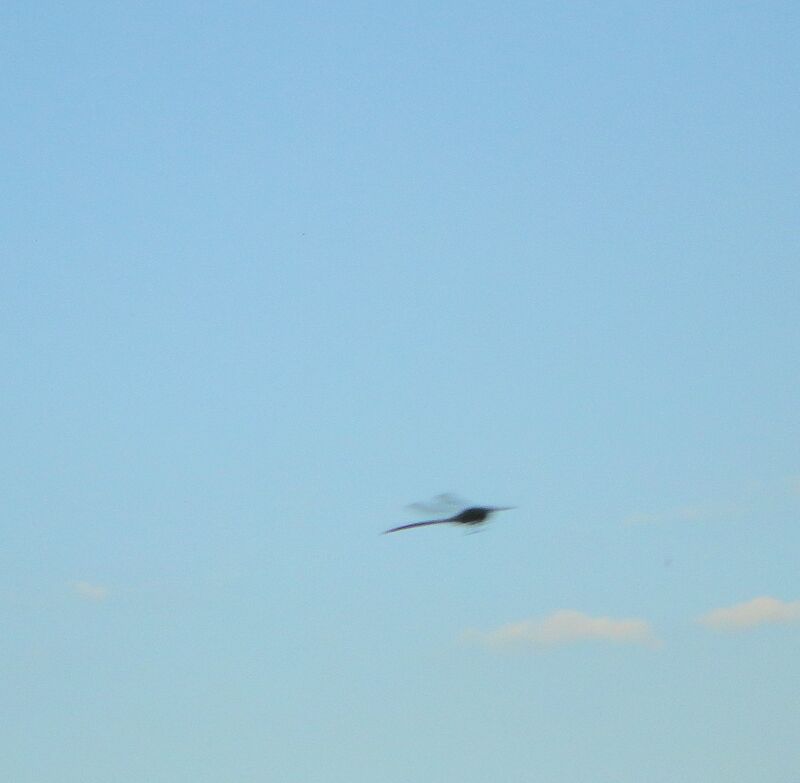 Then, suddenly, instead of a hundred or fifty dragonflies, only five or six are hunting. Searching for any last bite. In a blink the dancing insects are gone. With luck the dance will return another day. 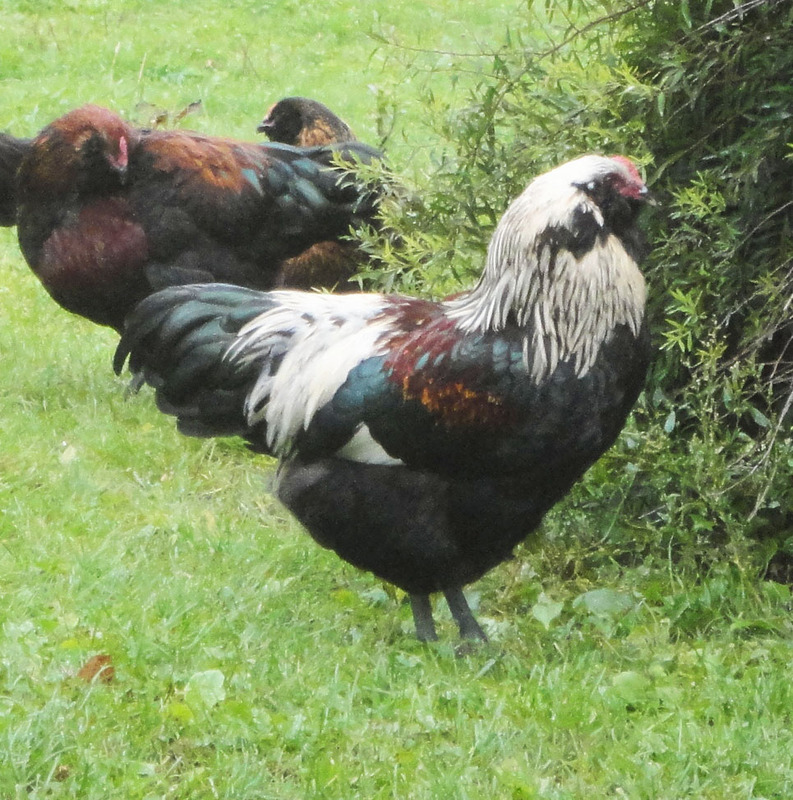 At our place, Phoenix Farm, I raise purebred Ameraucana full sized chickens. I keep four colors at this time, blue wheaten, brown red, silver and buff. These birds are known for their unusual blue colored eggshells. 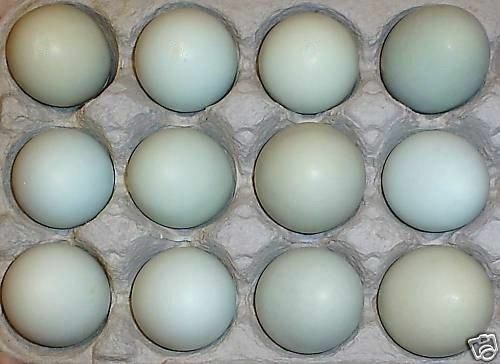 I have been breeding the birds for nearly twenty years and have achieved a pretty medium blue-green egg shell with some more greenish and some more blue. 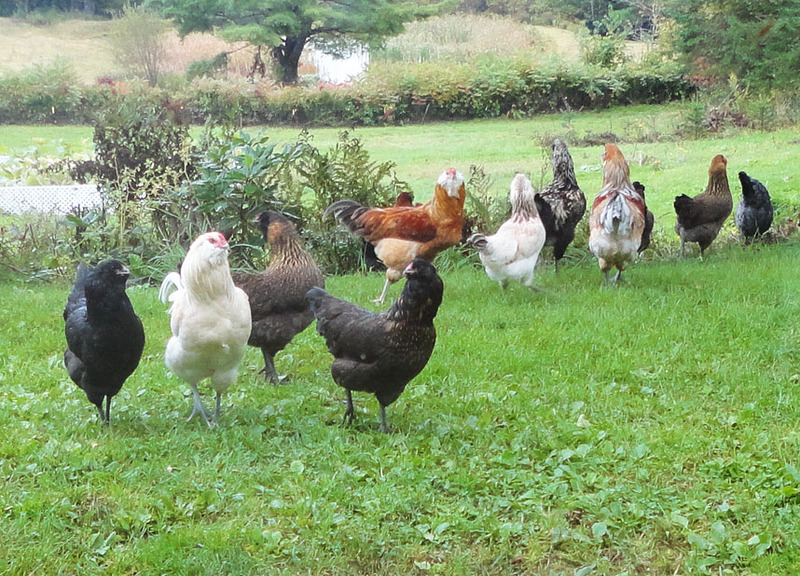 The chickens are so much fun to watch free-ranging around the yard. They have very distinct personalities. Because Ameraucanas do not set very well, I have to hatch the birds with incubators. Every spring I have at least 3 hatches or about 45-60 babies running around. The chicks think I’m their mother and sometimes follow me around. I talk to them in chicken language. They are very friendly and colorful birds. They help to pay for their grain by giving us lots of delicious eggs, some for us and some for sale. I also blow out the insides of the best colored eggs and sell the shells. I sell chicks and adult birds and also feathers that I collect during the year as they are naturally shed. I used to slaughter some of the roosters and sell their hackles but prefer not to. It makes me happier to sell them to good homes with hens, even if I have to keep some roosters over the winter for spring sale. They are mostly very calm roosters so they live together well in the barn. Once in awhile we get a predator like a fox or hawk. I use netting to protect the birds in their pens but when they free-range, they are on their own. I think if you asked them, they prefer to take their chances being free than cooped up all day. They love to eat bugs and scratch for tidbits. On a hot summer day you can find ten or twelve of them sunbathing and dusting themselves in the middle of the barnyard. 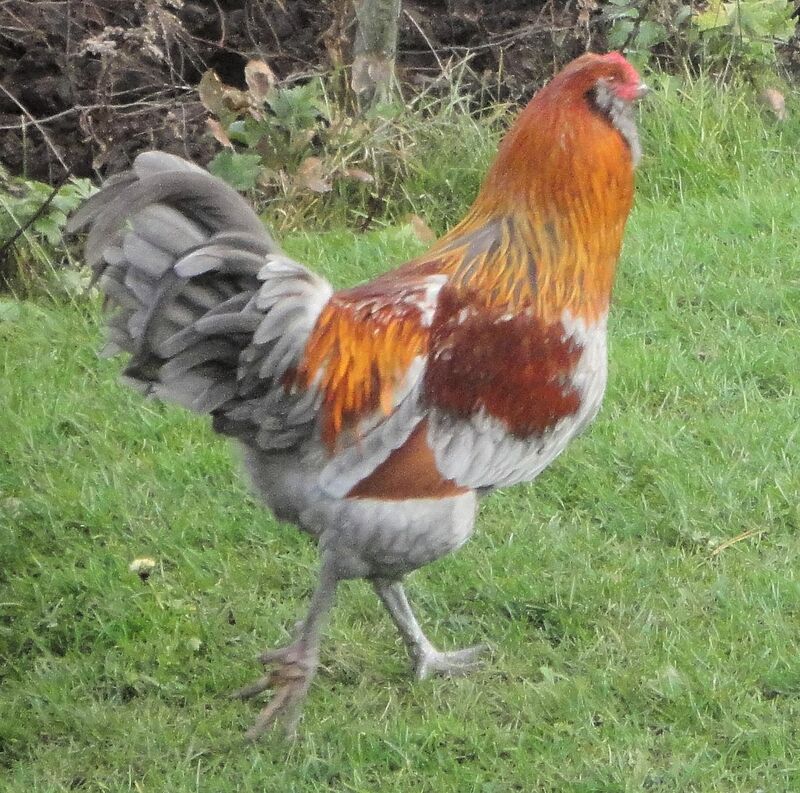 It’s a wonderful life for a chicken at Phoenix Farm. 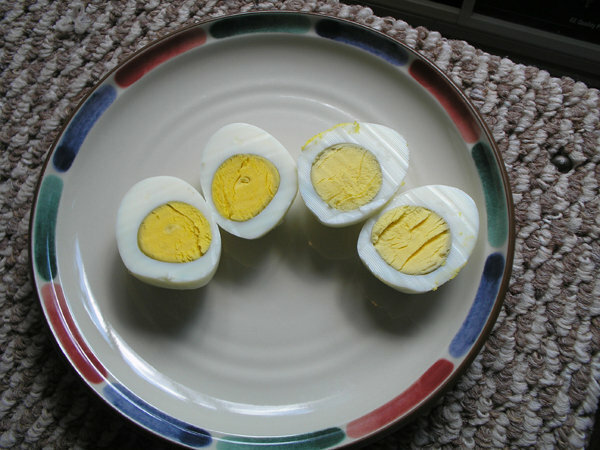 You can tell by the delicious healthy quality of their eggs that my chickens are in excellent condition and very happy. 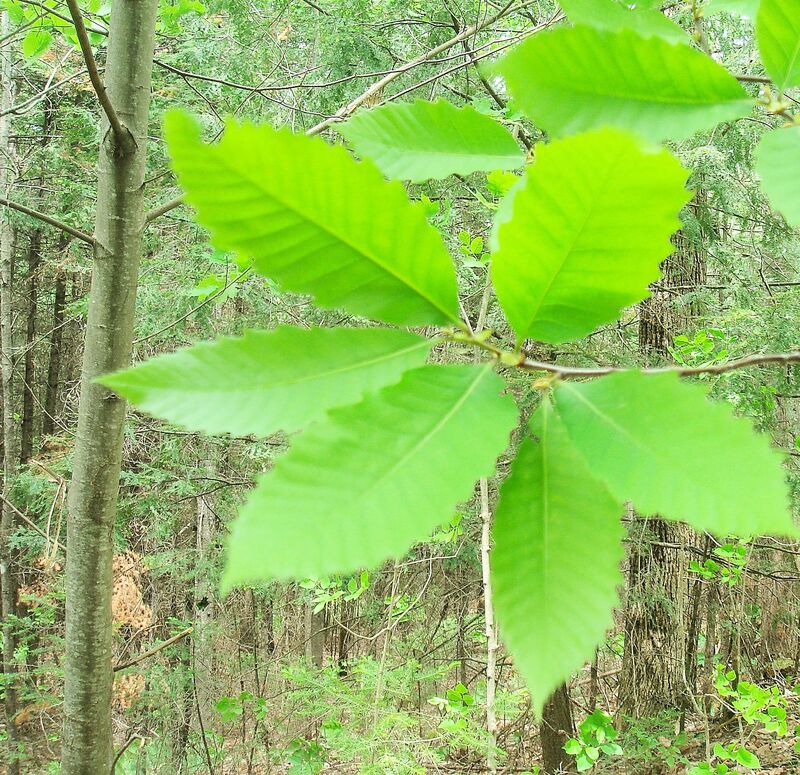 The American chestnut was once a mighty species of tree that dominated the forests of eastern North America. The trees grew to 100 feet tall with trunks spanning 4 feet or more across at the base. In springtime the giant trees were covered with large white blossoms. In the fall they produced an abundant crop of delicious edible nuts beloved by humans and wildlife. The wood was prized for making furniture and for its rot-resistant qualities. 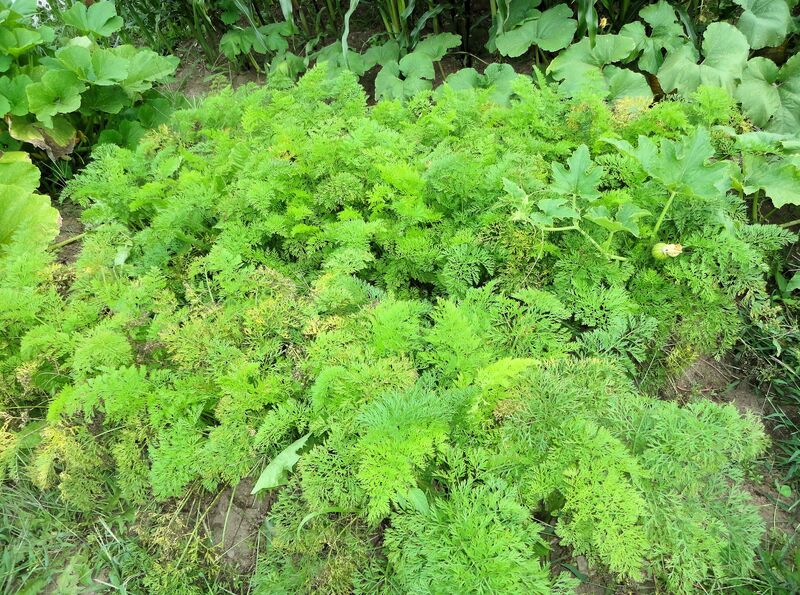 Tannin from the leaves was used to cure leather. The natives who lived here before white men arrived and our forebears who settled here depended on the tree for wood and food, including the game that fed on the nuts. Then in 1904, in a shipment of wood from Asia, a scourge arrived in New York. 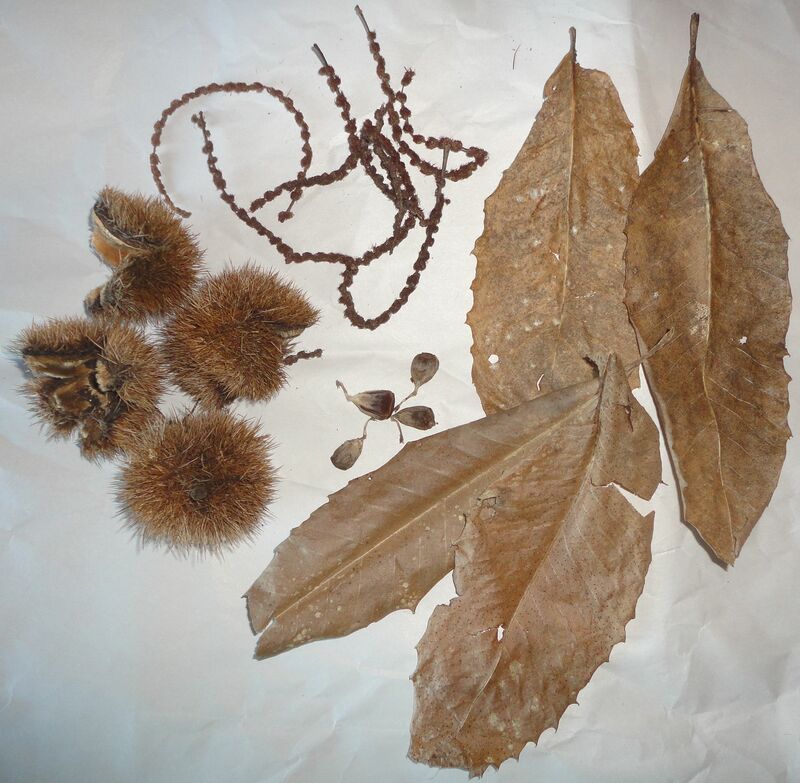 The disease was named Chestnut Blight and it was caused by a fast spreading fungus. The fungus killed trees rapidly by choking the circulatory system. Once infected, within two years a giant would be dead. Within forty years, the great chestnuts were wiped out. At least 3.5 billion chestnut trees died, one-quarter of the timber contained in the forests of the eastern US. Today, the species survives as shoots from the roots of trees that once lived. These shoots become shrubs, even small trees, before dying. To find a tree larger than a foot in diameter is extremely rare. The blight kills trees before they have a chance to get old. One early spring day about six years ago, I was hiking my property and happened to look down and spot a prickly, brown ball on the forest floor that reminded me of a sea urchin. It was the spiny husk of an American chestnut tree. I started looking around and discovered several more husks. Then I noticed the singular long, toothed leaves lying on the ground. In some of the husks I found the dried, withered remains of unpollinated chestnuts. The top photo is of part of my collection from that day and also includes the dried long male catkins that fall after the tree flowers. The forest had not leafed out yet, but I had an idea which tree was the chestnut. 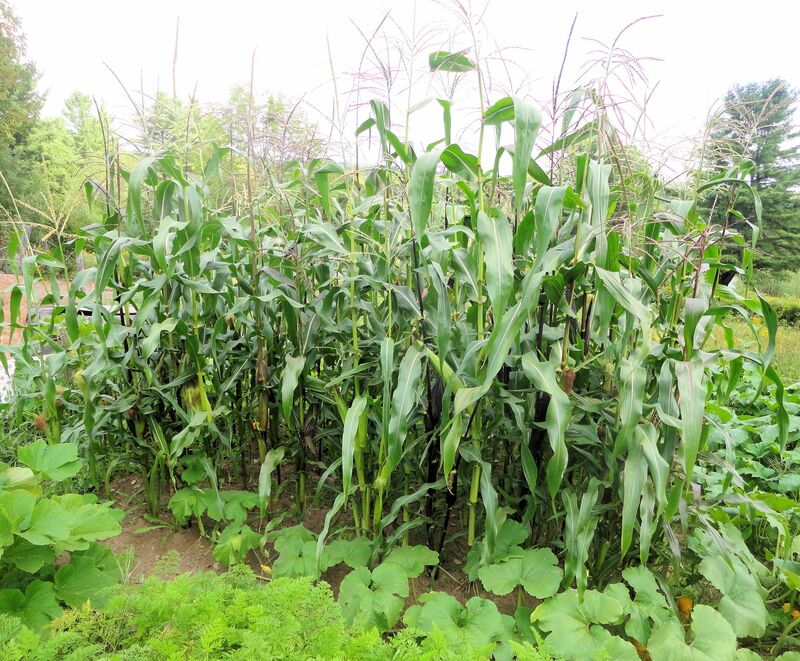 It was a slim, tall specimen with a silvery trunk about one foot in diameter. The smooth bark had a distinctive scratchy feel. I returned later in the spring and saw that yes, indeed, it was a chestnut tree! A tree such as this is far rarer than diamonds. I searched the area and soon found a smaller chestnut about 30 feet away. It had a diameter of about five inches and was maybe 15 feet tall. Those are the only chestnut trees I have been able to locate on our 75 acres. That second tree is very important because chestnuts are not self-pollinating. They have both male and female flowers, but must pollinate with another tree to produce fertile nuts. I took photos of the trees. 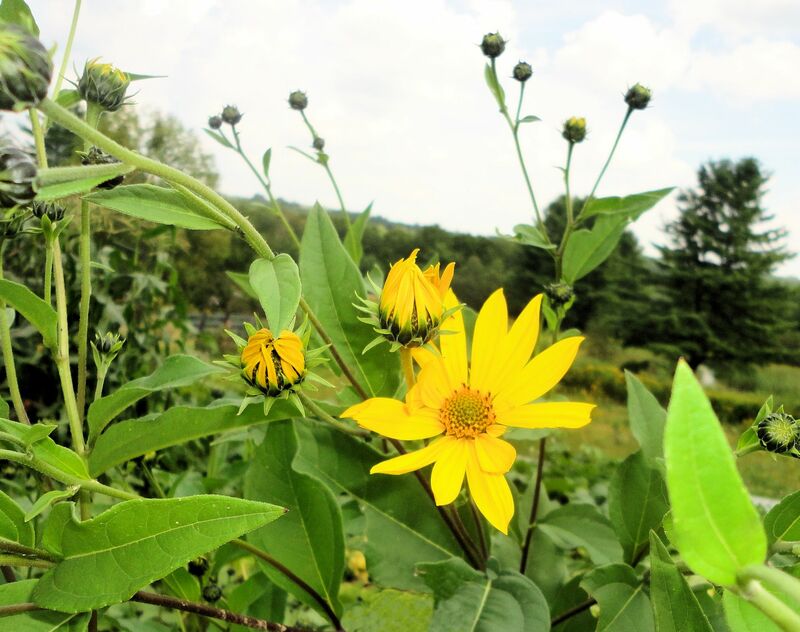 The second photo shows a whorl of leaves and the smaller tree on the left directly behind. The third photo is of the larger tree, I estimated it’s height at about 50 feet. These two probably grew from the roots of a fallen ancestor. It died so long ago that no remains of the trunk are visible. That fall I retuned and once more collected burrs, as the spiny nut husks are called, nuts and dried leaves. Wildlife were eating the nuts although I couldn’t really find any meat in them. The next spring I girdled a very large basswood tree that was competing with the larger chestnut. 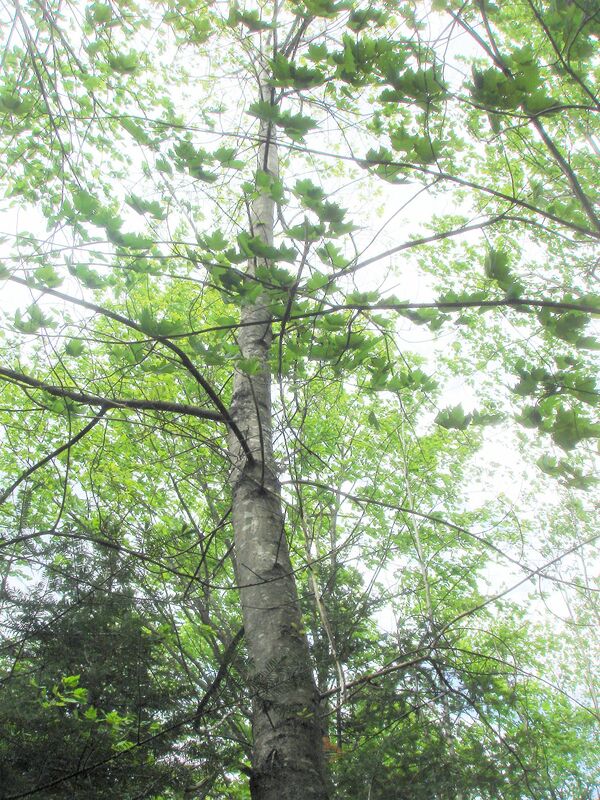 The basswood will slowly die and drop its limbs without damaging the trees around it. This year the older tree is about 18″ in diameter and maybe 60 feet tall. 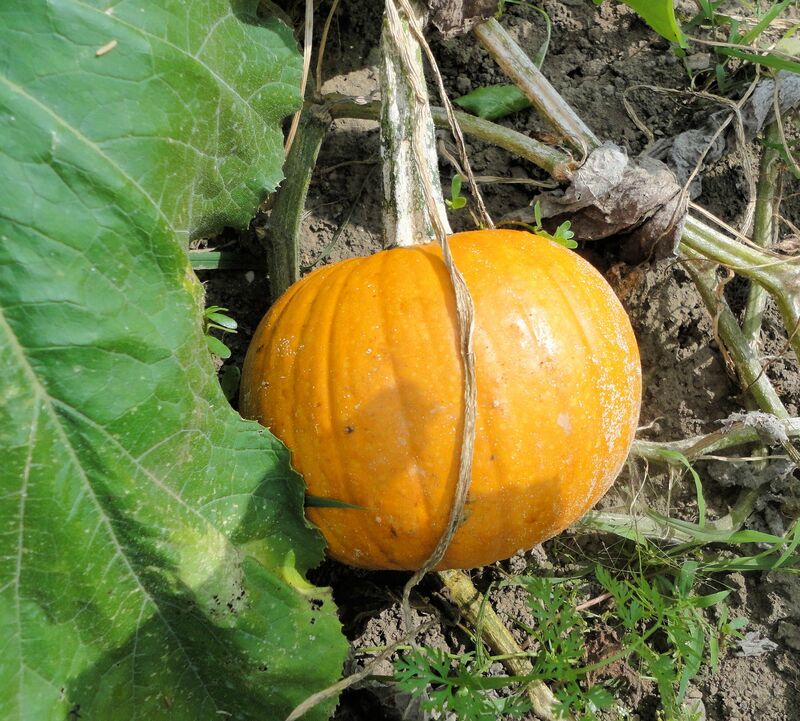 The younger about 7″-8″ in diameter. 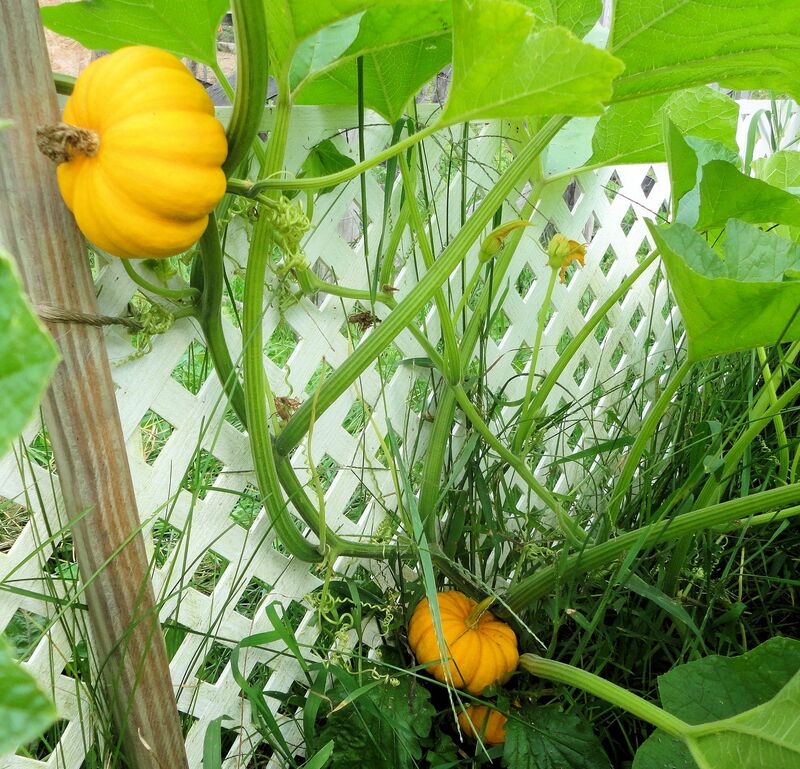 The baby has nearly doubled its height since I found it. Neither tree shows any sign of the blight cankers and both have full, lush tops. I girdled a small beech tree competing with the younger chestnut. I hope that very soon both these trees will bloom and provide fertile nuts. I can hardly wait to taste wild native chestnuts. I think of the giants of the past and dream of my two little orphans growing to giants in their own time, free of the terrible blight.